How could I not? The retina-popping cover just invites a flip through. Originally published in 1977, this fourth printing in 1985 was once owned by a certain Abby Horowitz. How do I know? She printed her name in the front cover. I wonder if Abby attempted this bright and cheery checkerboard quilt on the left, or maybe the clever, laundry nook coverup on the right. And if you've got a room without a view, why make one, of course! I'm not the kind of guy who often says no. If you ask me to bake a cake, I'm on. Would you like help sprucing up your space on a tight budget? Count on me! Or do you have a hankering for papier mâché volcanos? You have my number! I love the adventure of a challenge that requires me to step out of my comfort zone and discover untapped creativity. I am by no means a florist. But when my good pal Bevy Smith asked me to create last-minute floral displays for her "Dinner With Bevy" honoring CNN's Soledad O'Brien, I thought, why not? 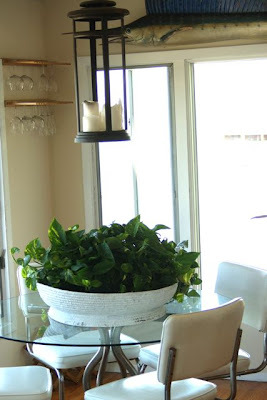 I hit the market to load up on in-season gerber daisies, picked up inexpensive vases and river rock along the way and then raided my box of ribbon to create simple and chic accents. My one-bedroom apartment was transformed into a flower shop for a day, and these arrangements are the bright and sunny results. Reuse & Repurpose: Come on In! On Monday, I talked about my love of old screen doors. 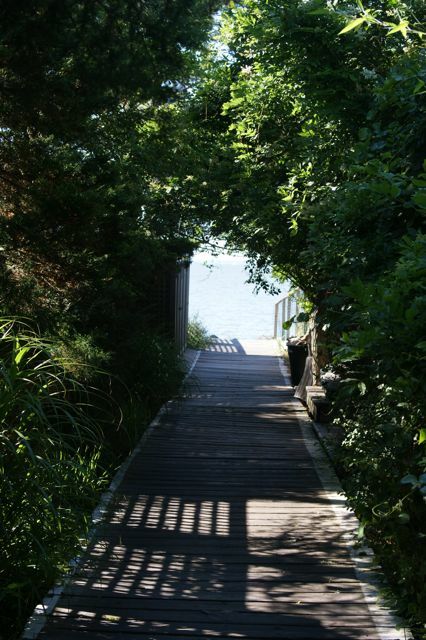 Here's another example that I photographed while scouting on the Fire Island community of Saltaire. The simplicity of this screen door makes it a welcoming site, and if you look closely, you'll notice how this old-fashioned wooden door has been given a little rustic update. Instead of the traditional metal pull, this door's handle is made out of a tree branch -- an easily found object in any beach community. Not only is this door knob an entirely green option, but it's also a clever way to solve a problem when a hardware store might not be handy. Just because the lease on your summer share lasts a short five months doesn’t meant it has to look like a frat house crash pad. 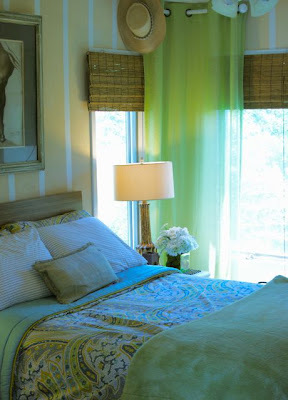 Just ask New York interior designer Mark Ciolli of Carl & Co. who along with his five house mates quickly transformed a dingy, 1980s, two bedroom apartment on Fire Island into a bright and inviting weekend destination. When decorating a rental, it’s important not to embark on major renovations without the landlord’s written permission. 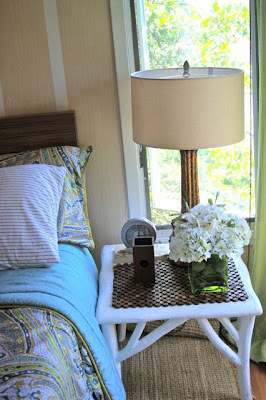 But by using inexpensive decorative accessories, simple painting techniques, novel window treatments and basic design principles, you can easily and inexpensively turn your space into one that looks like you should be paying a mortgage on. Follow these tips to give your rented space a new lease on life. Paint will transform and define your space. Unlike wallpaper, an appealing design created with paint can easily be covered with a fresh coat when it’s time to move. In his bedroom, Ciolli bought the least expensive paint he could find at Home Depot, taped the walls in a striped pattern and applied the texture with a $3.98 scrub brush for a striae effect. “I didn’t even bother doing an undercoat of paint first, since the technique I was using would distract from any imperfections already on the wall. 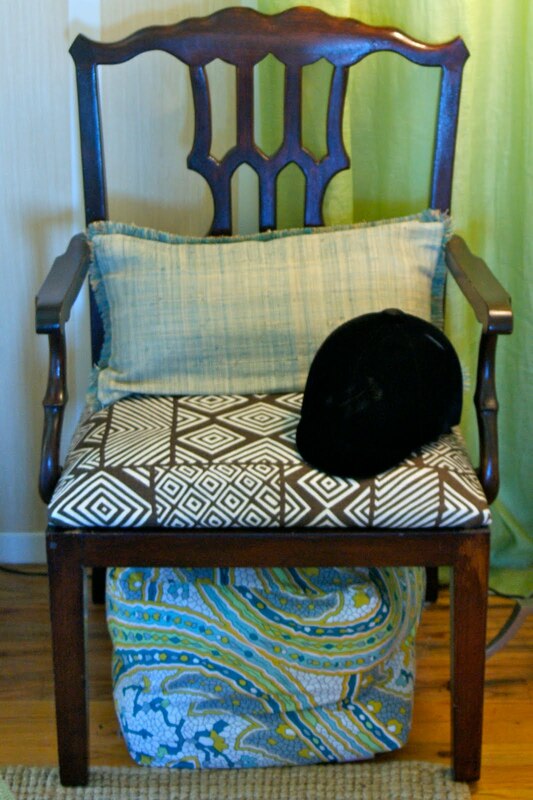 Create a focal point out of vintage and thrift wall décor. Get over your fear of hanging art or mirrors because you think they’ll ruin the walls. Promptly head over to your favorite thrift store for unique, oversized pieces that will fill a large space for pennies on the dollar. 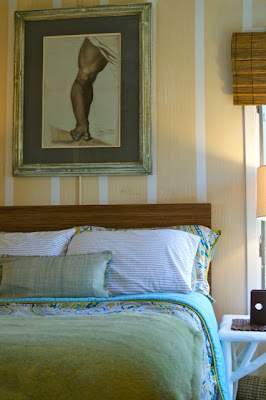 Ciolli paid $35 for an unusual, 18th Century French etching that now hangs over his West Elm headboard. Any holes left in the wall when the lease is up can simply be patched with joint compound. Add an unexpected element to every room. 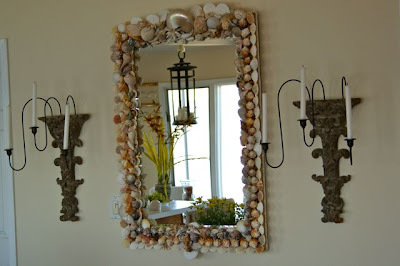 Ciolli’s housemate Rick Miller took a collection of seashells and affixed them with hot glue onto the ho-hum frame of a beveled mirror for a stunning effect in the living room. 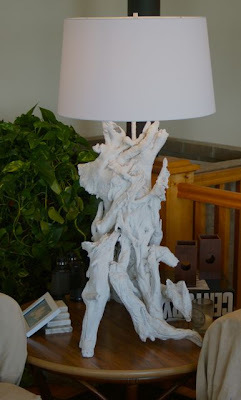 To go along with the beachy motif, Ciolli channeled legendary interior designer Tony Duquette to spray paint a beat-up, driftwood lamp that he bought for next to nothing at New York’s 25th Street Flea Market. Evaluate lighting and replace as needed. Properly placed lighting guides the eye through a room and helps create mood and drama. Replace ugly, outdated fixtures, and store the old ones so that you can put them back when it’s time to move on. Bonus: You’ll already have new lighting to take to your next place! Reuse and repurpose what you already have. From the fabric bag that held the Liberty of London for Target bedding, Ciolli took the carrying straps and turned them into coordinating accents on a lampshade. He stuffed the bag itself to fashion a decorative pouf that he then placed underneath a chair he found discarded on the boardwalk. Balance elements even when one of them doesn’t exist. Place furniture to encourage conversation. Chairs within comfortable speaking distance of each other and tables at arms length makes for a room that will get people talking. Additionally, if you happen to have a spectacular view, arrange your furniture so that you and your guests can enjoy it. Add pillows for comfort and texture. Ciolli took all the pillows that came with the inexpensive, slip covered sofas and put them into $4 cases he found at Ikea. He mixed and matched patterns for added interest, but stuck to a blue-and-white theme for consistency. “Just adding lots of pillows to a room gives it a soft, planned feeling,” Ciolli says. Especially in a vacation space, if a decorating project proves too taxing, don’t sweat it. As with any home, any extra effort you make to create a beautiful and welcoming environment will be noticed and appreciated. And for goodness sake, remember, it’s just a rental! I love the noise of an old-fashioned, screen door as it slaps against its frame and is sometimes pulled back into place by a rusty spring. I spotted this wooden door while location scouting on the Fire Island community of Saltaire, where the cottages have stood since the 1920s and many of the furnishings have been there for just as long. There's something easy and inviting about the scene we peer upon through this screen: the soothing white walls, the unassuming piece of art tacked up on the wall and the relaxed feeling of calming striped bedding. This room hints to me that it would be a cool and breezy spot to take a book on a hot summer's day. I can imagine lying there listening to the sounds of bicycles rolling along the boardwalk, the horn of a distant ferry as it pulls into the harbor or the caress of the waves that kiss the beach only a few yards away. Doesn't that sound like a nearly perfect way to spend a summer afternoon? I know that I attach much sentimental value to objects that bring back warm memories of childhood, of my hometown or of far-away family and distant friends. So it is sometimes a melancholy moment when we inherit an item from a loved one who is no longer with us, or from someone whose journey down life's winding path has taken them on a route that doesn't allow them to take all their cherished possessions with them. I once inherited a set of chairs that a dear friend found on the street in Brooklyn, but then when she picked up and left New York for Texas, I was left with her chairs. Believe me, I was really sad to see her go, and I'm reminded of her every time I pull up one of my heavy, wrought iron garden chairs up to the rickety table in my dining room. Tabletop guru Bill from Affordable Accoutrements told me the story of how he received this gorgeous white sofa, a side table and a wing chair from a friend's mother who entered assisted living. I can imagine that he accepted the gifts with a tinge of nostalgia, knowing how much the woman must have adored the lovely furniture that she was now forced to part with. It's obvious to me how Bill has arranged his newfound pieces in a place of distinction. Why, just look at this fabulous, fantasy-filled table setting that he has set in their honor! It's comforting to know that one woman's adored treasures have now found another welcoming home. I'm not normally the type of guy who goes lurking around cemeteries just for the fun of it, but last fall when I went with LeAnn Stephenson, The Vintage Laundress, to Texas Antique Weekend between Austin and Houston, she took me by a local hair salon, that...well...I'll let the pictures speak for themselves. Could you just die? Or should I say dye? A while back while dining at Jerry's now in Tribeca (How I miss the old location in SoHo!) 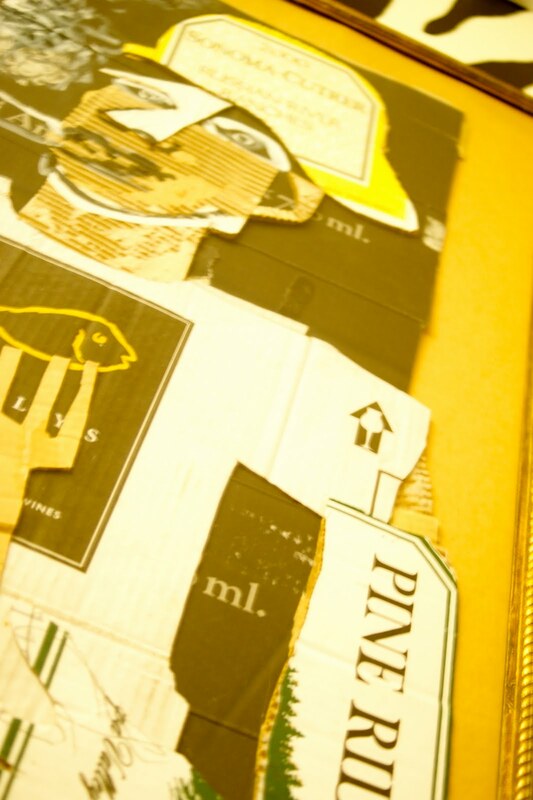 I looked up and saw this cardboard gentleman created out of cardboard wine boxes. The framed collage is attributed to New York artist Alexander Kaletski, and after visiting his website, I realized that I once used him as a model in a men's outwear story a few years back. From cardboard boxes to art and artist to model, New York City is a place that's always full of repurposed surprises. 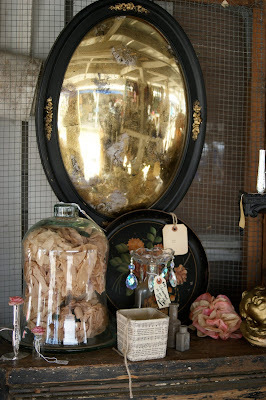 Every time I stop by one of my favorite thrift stores or have the opportunity to visit a bustling flea market, I'm always amazed at the variety and the quality of mirrors that always seem plentiful. 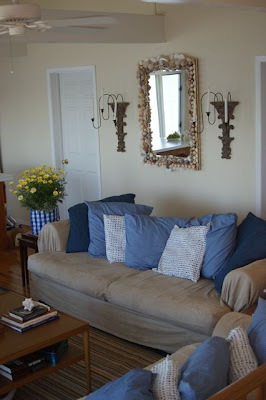 As I discuss in The Find: The Housing Works Book of Decorating With Thrift Shop Treasures, Flea Market Objects, and Vintage Details, the reflective qualities that mirrors hold make them prime candidates for showing off in grouped collections, or singly, either mounted on or leaned against a wall. Mirrors are excellent for glorifying areas of interest in a room and visually expanding the space. However, if you set them in front of unsavory areas -- say an unappealing toilet, a crusty appliance or even a messy work area -- the ugly appears in double! Mirrors can help a dark room seem brighter when it bounces sunshine or existing light around the room. They can also help a small room appear larger by expanding a clean plane for an endless illusion. Again, be careful when placing a mirror across from a cluttered area, since all the stuff piled everywhere will be reflected twice, thereby making your space look smaller and claustrophobic. And should you find a gorgeous mirror in a frame that's not your style, try painting it. As simple as it sounds, a fresh coat of white or black paint can breathe new spirit into a piece you barely gave a second glance. A while back as I was rummaging through a thrift shop that, sadly, was about to close its doors for good, I stumbled upon this handmade quilt that reminded me of both my grandmothers. 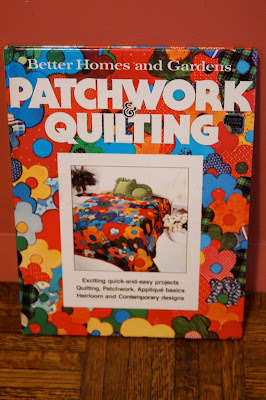 Grandma Churchill made useful quilts -- ones functioning more for warmth than they exhibited refined style, but filled with charm and odd colored fabrics. Oh, there was the fabric from an old coat, a scrap from an army blanket or a piece of old upholstery -- all pieced together with charm and whimsy. And then there were the ones Grandma Williams intricately designed in novel shapes and bright hues. Hers were true masterpieces, crafted in beautiful fabrics and stitched to precision. Even though this quilt still needed its backing, and quilting, for that matter, the overstitching on the butterflies is flawless, and the mix of vintage fabrics remind me of the fanciful feed sacks that people started using for sewing projects during the Great Depression. 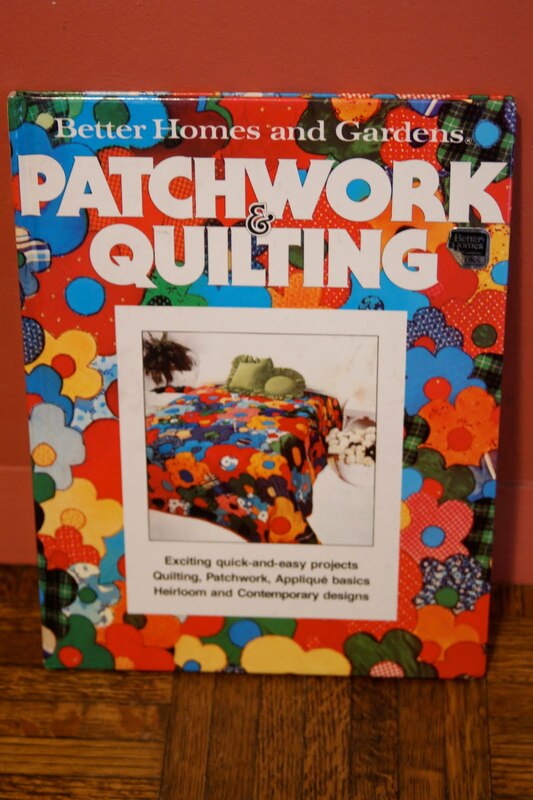 Since cotton was so scarce at the time, feed makers hired designers to make beautiful feed sacks that end consumers could use to make clothes for their families and gorgeous, yet useful, quilts. This quilt flutters like springtime and reminds me of those first bright days of childhood after a long, long winter. What fun it was in summertime to toss a quilt under a tree and play board games beneath nature's green, leafy umbrella, or dine on a picnic lunch par terre, even if it meant swatting away the ants and the gnats that dropped in for a visit. Like memories, this quilt is a pieced-together body of work -- one that will endure time and brighten even the gloomiest of days. Sometimes when people go searching for a gift they have a hard time finding what they think they want. I rarely have that problem -- especially when I'm shopping at thrift stores and garage sales -- because I just let the goodies find me. That's the beauty of perusing second-hand goods; when you find a potential present that costs pennies on the dollar, you can buy it without worrying about how much you are spending. The trick, however, is to remember that this item is something you bought to offer someone else. You may adore your little purchase, but make sure you love it enough to set it free, as hokey as that sounds! 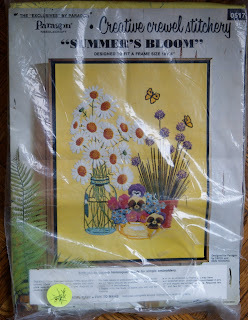 That's what happened when I spied this "Summer Bloom" Creative Crewel Stitchery kit, all for one dollar in a Kansas City thrift shop. Not only did it make me think of my dear pal Ruth Handel in Los Angeles, but it also reminded me of a beautiful crewel bouquet that my mom stitched up for my grandmother many years ago. This finished basket of colorful posies hung in Grandma Churchill's bedroom for several years collecting lots of farm dust. 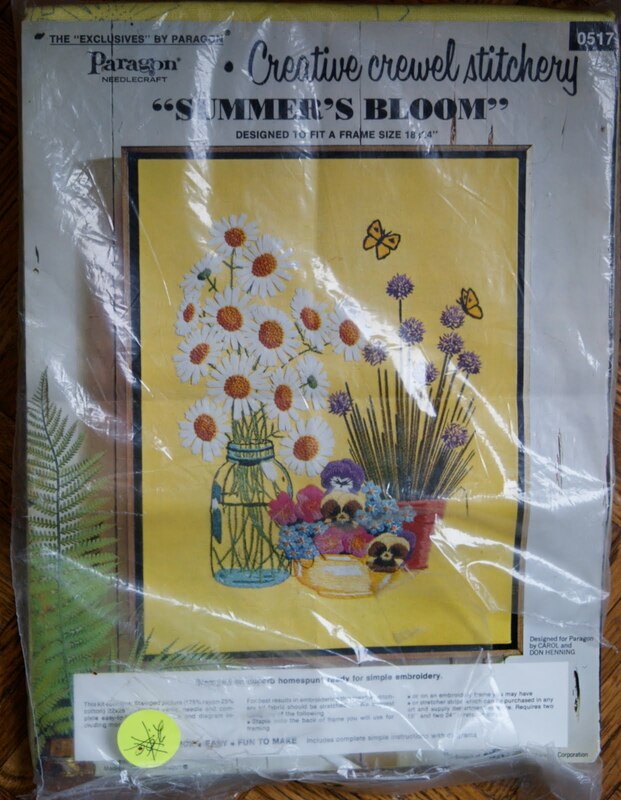 It, too, came from a kit that Mom transformed into this bright,floral fantasy. I don't know if Ruth will actually turn her bag of yarn and canvas into a potential work of art, but if she wants, I might just be able to have my arm twisted into doing it myself. They say good things come in three. 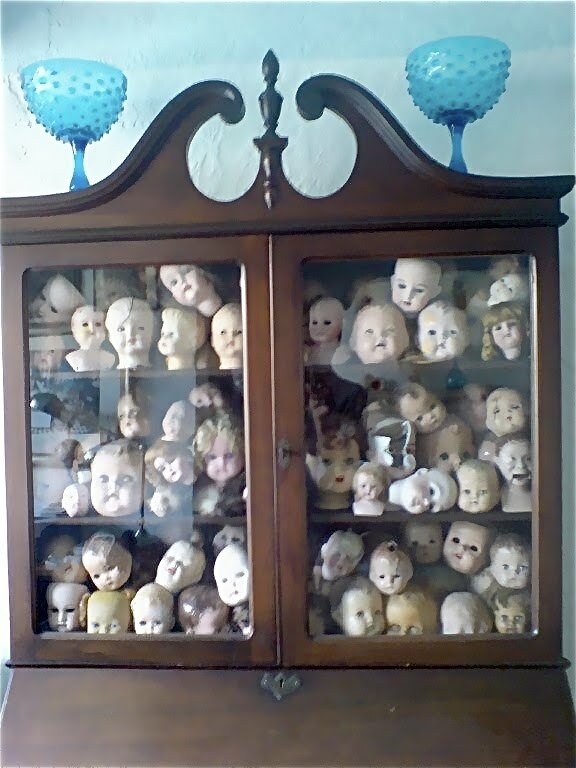 But it's also said that three's a crowd, so I promise this series of severed head decorating ideas will come to an end today. I couldn't resist but share with you one more of my favorite bodiless têtes, that of Marie-Antoinette sitting underneath a bench -- a replica of one at the Château de Versailles -- in the gorgeous apartment of Beale-Lana's Randall Beale. You can watch the video of my discovery here on Open House. Note the former mustache that I removed from my own head earlier this year. There seems to be a theme developing over the past two days -- severed heads. As you know if you've been visiting for a while, I am not a ghoulish, macabre person. 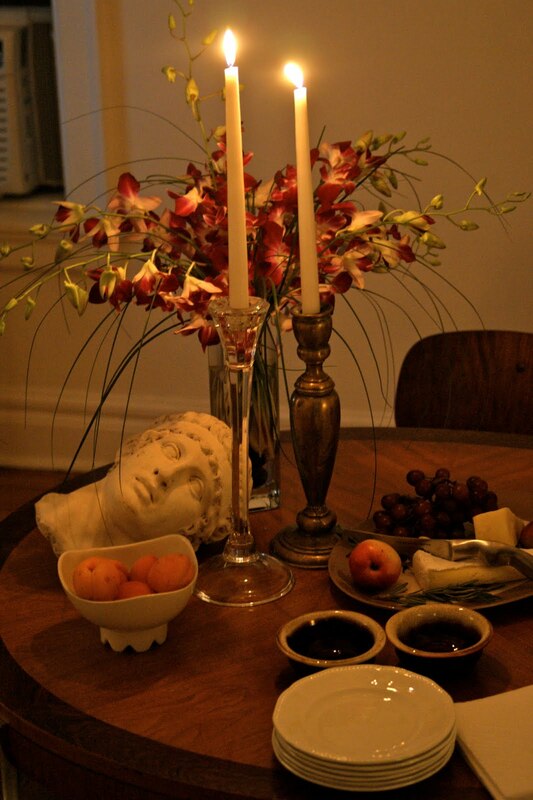 I do, however, love the way an atmosphere gets an unexpected lift with the placement of odd or unusual objects. 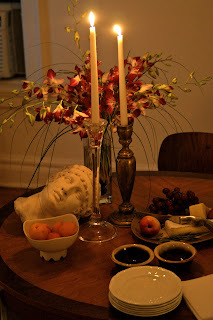 At a recent gathering at some friend's home in Queens, this Roman's head lounges on a tabletop illuminated by chic, mix-and-match candlesticks, and a lush spray of orchids hovers over and a spread worthy of being documented as a master's still life. 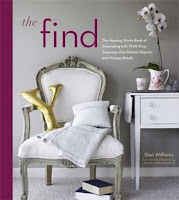 The best thing about having written The Find: The Housing Works Book of Decorating With Thrift Shop Treasures, Flea Market Objects, and Vintage Details is the opportunity to meet all kinds of creative people, both those who have appeared within my book's pages and those who have found me because of them. Jump ahead a couple of months and I get an email from Kevin. He's coming to New York to help his newlywed niece decorate her new East Village apartment, so we decide to meet. 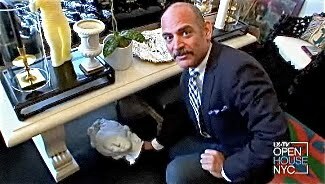 After a day of lost phone numbers and messages left for every Stanley Williams in New York, Kevin found me and we decided to meet at New York's legendary Antiques Garage Flea Market. "Just look for a poor man's Richard Gere," Kevin told me. I arrived pretty much on time, and a man who really did look like Richard Gere walks up to me and says, "You're gonna' look right at me and pretend you don't know me?" Well, it was Kevin! We did a mad dash through the flea market, and then he had to get back to his decorating detail. But he has promised to send me photos of the apartment he decorated over a weekend with some coats of paint, a trove of thrifty treasures and hopefully some new lampshades! There was a time when I could hardly wait for the mail to come. 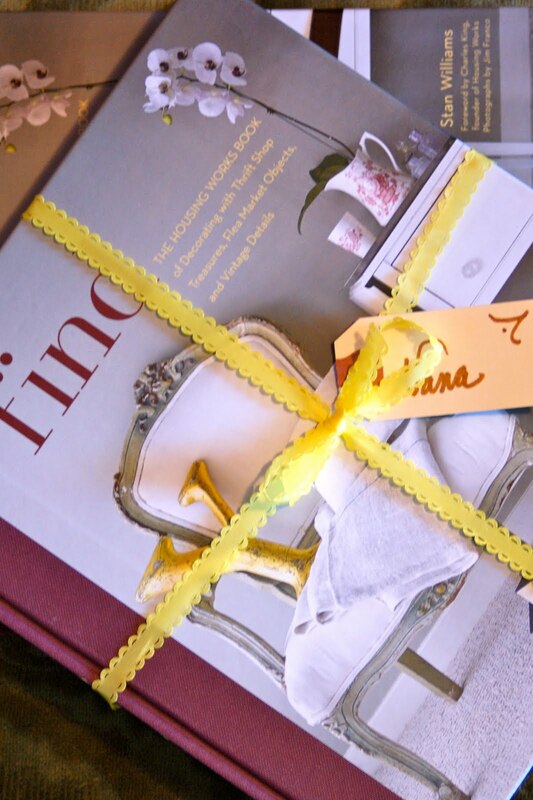 Even today, I love it when an unexpected package arrives or a friendly, handwritten note or invitation is delivered. But these days it seems it seems like most of what's put in my mailbox are stacks of bills and piles of unwanted promotional fliers. When I was a kid, and when my sister and I were home from school, we always kept an eager vigil for the the postman's arrival. We knew he was on his way when we caught sight of his blue jeep parked down the street and started to hear the sound of barking dogs growing louder as he made his way on foot to our house. You could see his shadow approach through the small window on the front door, and you'd always hear a clunk when he shut the box, or took out envelopes that were posted for another destination. And then there was our dog Sparky who would throw himself at the door trying to get at the man who passed by everyday at about the same time. That was a pretty good indication that the mail had come! Once the coast was clear and we could safely open the door without our snarling pet racing out the door, we would quickly reach out and remove the contents of the mailbox, which hopefully held a letter from a faraway place, or or even better, pick up a box of something or other sitting on the steps just begging to be ripped open. I can only imagine the excitement this package must have generated when it arrived to Independence, Missouri, from Rome, Italy, in 1971. It was rediscovered almost 40 years later when my sister pointed it out to me at a particularly good garage sale last month. "Hey Stan, did you see this?" she asked holding up this little bundle covered in vintage stamps and postmarks that I somehow missed lying on a table heaped full of bric-a-brac. Of course, I had to know what was inside, and as I slowly unfolded the parcel, a pair of never-worn, kid-leather gloves was revealed. I imagine that the receiver must have found this gift so special that she couldn't dream of putting these exotic lovelies on her hands. Instead, she guarded them safe from harm in their original packaging. They might have sat in the back of a drawer until it was no longer in vogue for women to wear dainty white gloves. Or maybe they just didn't fit, and their owner just couldn't bear giving them away. Whatever their reason for practically being given away at a garage sale decades later, I paid the 50-cent asking price and took them home. And for the time being, I'm keeping them on my desk, all wrapped up just the way I found them. Leave it to eagle-eyed Mark Ciolli of Carl & Co. to spot this little gem tossed out on the boardwalk near his summer getaway on Fire Island. In excellent condition, all this Chippendale armchair needed was someone to offer it a new seat. So leave it to an interior decorator to just happen to have an extra fabric swatch lying around, which he quickly applied over the ragged old one with a nail gun. He said he would have used a staple gun, but that's all the neighbors had for him to use and it easily did the trick. 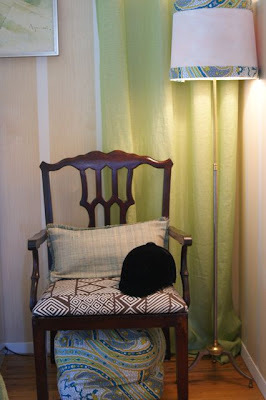 This fine example of wooden seating now rests in Ciolli's bedroom corner topped with a lime green pillow and a vintage, velvet riding cap that he placed there just for fun. Underneath the chair sits a pouf fashioned out of the fabric bag that once packaged a factory-fresh set of Liberty of London for Target bedding for which Ciolli paid $25 at a tag sale. Do you have an example of a fabulous find that cost you absolutely nothing? A little something that you were amazed hadn't been snatched up by someone else? If so, email me at theelegantthrifter@gmail.com, send me a photo, and tell me your story. Take your garden wherever you go -- or at least on the back of a flatbed -- when you hit the road with this wheeled discovery. Packed with rolling beds of flowers and a mobile topiary dog from Liberty Sunset Garden Center in Red Hook, Brooklyn, imagine the rubbernecking that would take place if you took this baby down the highway. Because of their unending maintenance, most people agree that it's better to have friends with boats than to actually own one. So if you've had it with the constant upkeep and the drain on your wallet, here's a novel way to turn your wooden money pit into a lawn ornament that costs virtually nothing to keep afloat. Located in the Red Hook, Brooklyn, area, this little speed boat was purposely run aground to be firmly planted among greenery, rocks and shrubbery instead of floating with the fish. Congratulations to Nana from Just Call Me Nana for winning the amazing giveaway that Bill from Affordable Accoutrements did for my book The Find: The Housing Works Book of Decorating With Thrift Shop Treasures, Flea Market Objects and Vintage Details. I've tied some ribbons and bows on a couple of rare, first editions of The Find, and sent them off in the mail to Nana and Bill. If you happen to have a copy of The Find, email me at theelegantthrifter@gmail.com and I'll mail you a personalized book plate. Here's wising your Independence Day was full of fun and sun. May this Bicentennial metal platter I found at a Los Angeles garage sale serve up warm wishes for fun and fireworks this Independence Day weekend. I am still in awe of all the fun to be found in Kansas City, Missouri-area garage and estate sales where you can still turn up the most amazing pieces for next to nothing. The story behind this cheery plate is no exception. So I'm in an estate sale and start to marvel over this this cake pedestal. I pick it up, turn it over, see that it was made in Japan and make a guess that it's probably from the late 1960s or early 1970s. I take it to the woman sitting at a card table checking customers out and ask her how much she wants for it. "Oh, anything that's not labeled is 50 cents," she says. I happily reach into my Zip-Loc bag filled with coins and start to hand over my change when she says. "Oh no, that's 25 cents. Everything is half off today!" I can't wait to put a pineapple upside-down cake on this treasure that reveals its messages as the dessert starts to disappear.